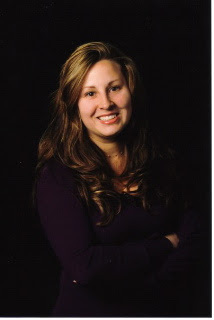 A 2008 recipient of the Minnesota Jaycees TOYM designation, I was so pleased to have recommended that my friend and former colleague, Melissa Palank, be selected as a 2010 Ten Outstanding Young Minnesotan! A smart, savvy, and powerful advocate for change, Melissa is a true asset to Minnesota. Honorees will be awarded tomorrow evening at the annual Minnesota Jaycees Banquet at the College of St. Benedict in St. Joseph. Congratulations and thanks for your leadership, Melissa! Melissa Palank has demonstrated a long-term commitment to effecting change in her community by focusing both her professional and personal life on causes she is passionate about. She has worked hard to build the leadership and political capacity among young women in Minnesota through her work with the White House Project and the Leaders of Today and Tomorrow program. A commitment she made to an HIV positive family member drives Melissa's ongoing commitment and years of service in the area of HIV/AIDS awareness. Additionally, Melissa has devoted a great deal of her time and talent to serving on many nonprofit boards including: Minnesota AIDS Project, Twin Cities Women's Choir, American Marketing Association- MN Chapter, University of St. Thomas Alumni, and League of Women Voters. Melissa is an example of a young leader tying her profession to her vocation throughout her career- always using her professional life to work for the betterment of her community. She currently works at Nonprofit Solutions as Director of Client Services providing strategic level guidance and consultation to nonprofits.